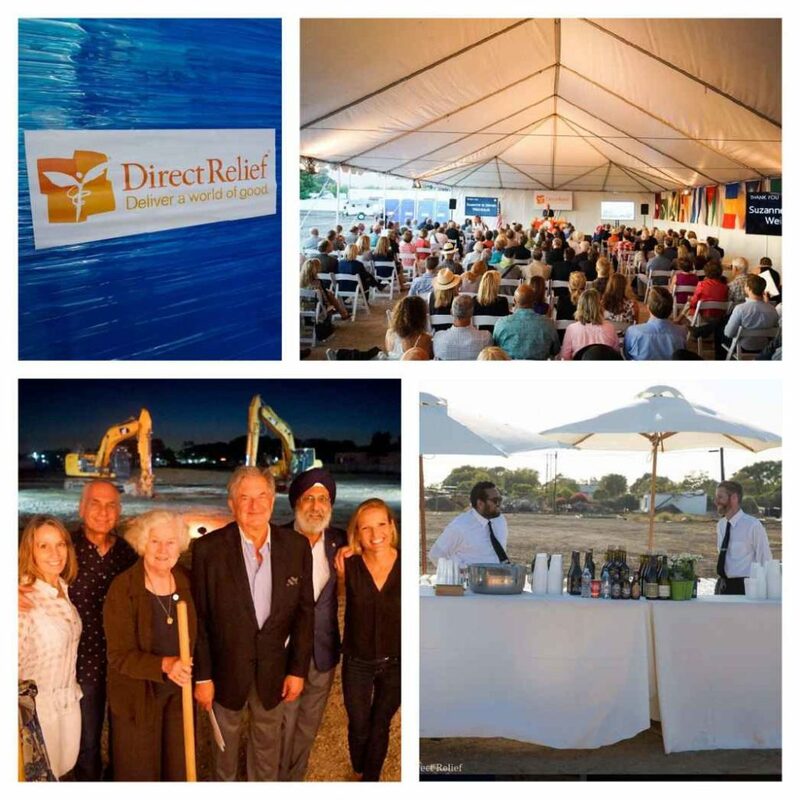 Direct Relief, a humanitarian organization, active in 50 states and 70 countries with a mission to improve the health and lives of people affected by poverty or emergencies was founded right here in Santa Barbara. 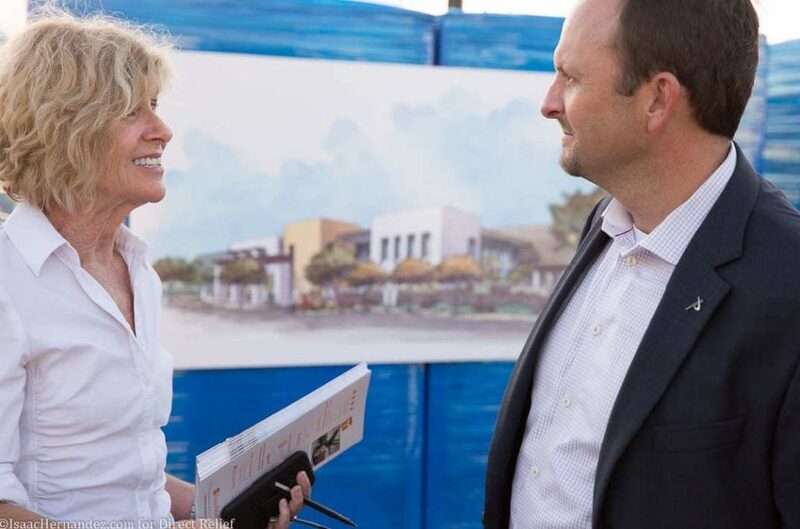 So when this incredible international organization asked us to be their preferred caterer for their new facilities ground-breaking special event, we were honored and couldn’t wait to support. 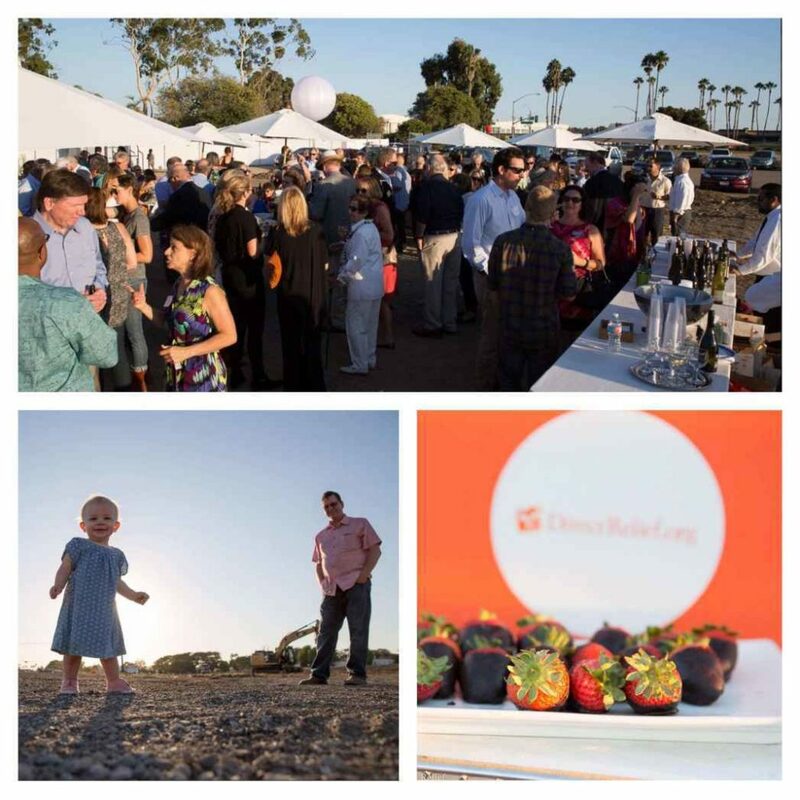 The event was held at the location that is to be their new Santa Barbara headquarters, and they had an incredible turn out. 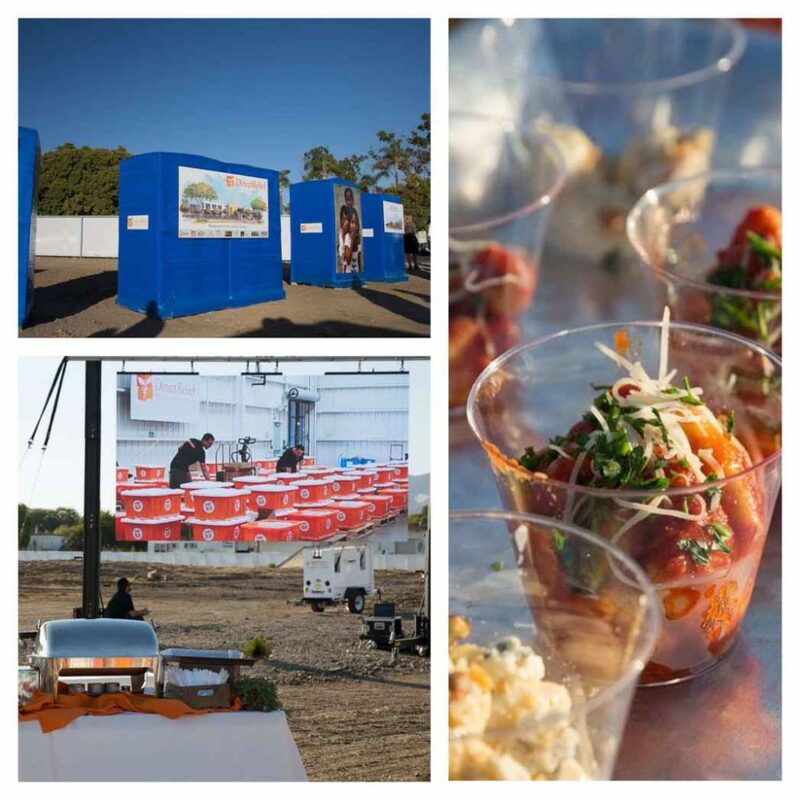 What was extra fun about this event was the food and display design we came up with: we had four food stations (Mediterranean, Live Action Chef Gnocchi Bar, Street Taco Station and Mini Desserts), and used all construction-type materials for our displays, including crates, glass blocks, slabs of granite, wood trays, red bricks , and more. 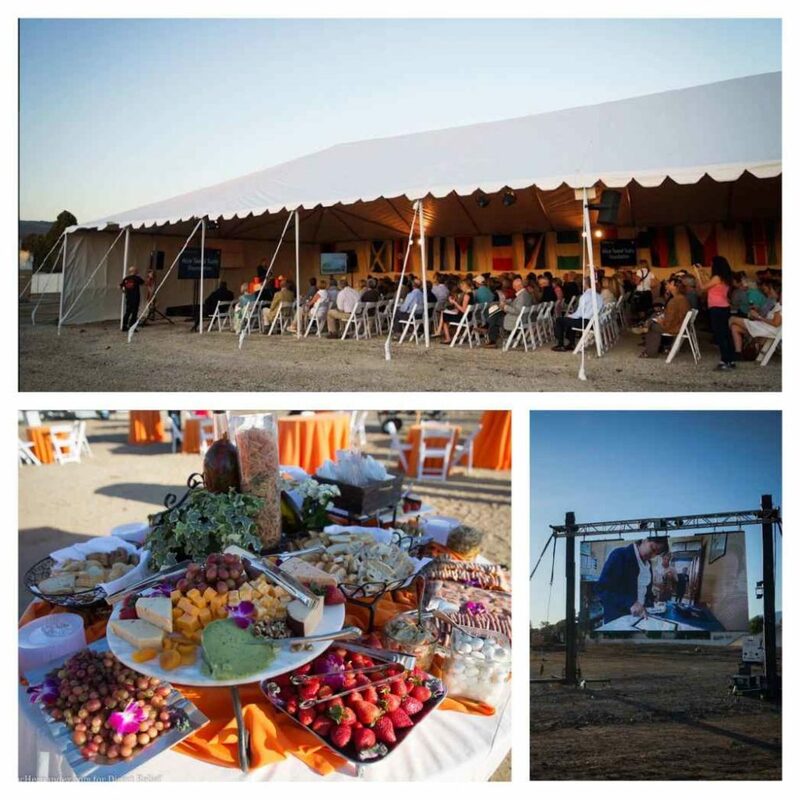 To top off the wonderful food and beverage , the tent was lined with flags from all over the world and pictures of children and people who have received Direct Relief’s signature orange box. 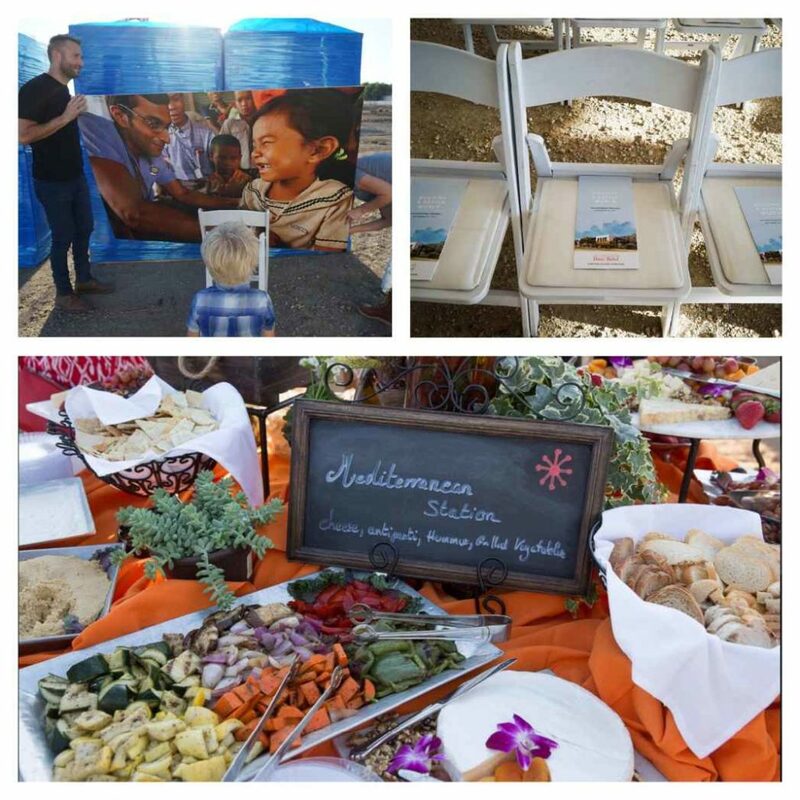 This event certainly showcased incredible needs of humanity all being met by this great organization, and we were so pleased to have been a part of it.